Alzheimer's disease affects an estimated 5.4 million people in the U.S., some 480,000 of them in California. Nearly half of all people 85 and older will be stricken with the disease. The overall burden of dementia is still higher, with Alzheimer's accounting for only 60 to 80 percent of dementia cases. Yet as devastating as these disorders are to the afflicted, they also have a tremendous impact on family members, friends and caregivers. And while many health systems provide excellent care, and community-based organizations offer supportive services, no comprehensive programs exist to meet patients' health needs and the needs of those around them. Family members are often at a loss to find appropriate care and services for their loved ones, and they typically have few, if any, resources to help them navigate their way through the complex health care system. "UCLA already has top-notch geriatrics, neurology, psychiatry and primary care clinical services," said Dr. David Reuben, chief of UCLA's geriatrics division. "But we do not have a comprehensive, coordinated dementia care program. As a result, the many needs of UCLA patients with dementia and their families are commonly unmet." To address those needs, UCLA is launching its new UCLA Alzheimer's and Dementia Care program, which will provide comprehensive, coordinated care, as well as resources and support, to patients and their caregivers. Patti Davis, the daughter of former President Reagan and Nancy Reagan and a longtime advocate in the fight against Alzheimer's, will be an integral member of the program. Very little was known about Alzheimer's when President Reagan was diagnosed in 1994. Sufferers and their families were left in the dark about what to expect and how to cope with the ravages of the disease, said former first lady Nancy Reagan. "People didn't really talk about their loved ones with Alzheimer's, as if it were something that had to be kept secret," Reagan said. "There was no place to go to learn more, no one to talk to and share our feelings with. It was a very lonely — and frightening — time for us. It's still a lonely time for a lot of people, which is why I'm so glad this new program exists. "I'm pleased and very proud that Patti is a part of it, and I am confident it will help a lot of people." The program, which could serve as a model for other health centers around the country, is being funded by Ronald Reagan UCLA Medical Center; the division of geriatric medicine in the UCLA Department of Medicine; the division of geriatric psychiatry in the UCLA Department of Psychiatry and Biobehavioral Sciences; the David Geffen School of Medicine at UCLA; and a generous donor. Davis, along with Linda Ercoli, director of geriatric psychology in the UCLA Division of Geriatric Psychiatry, will lead support groups for families affected by the disease. "It's a role I'm familiar with because my family went through a decade of my father's illness under the glare of the public spotlight," Davis said. "The program of support groups will do a lot to ease the loneliness and fear that come with being in a family with Alzheimer's." The UCLA Alzheimer's and Dementia Care program will have three main components: the creation of a dementia registry; a needs-assessment of patients listed in the registry; and individualized dementia-care plans based on those assessments. Consultations with neurology, psychiatry and geriatrics staff. Monitoring for disease progression and complications for all patients. 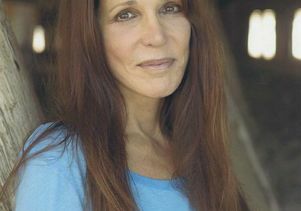 Support groups through Patti Davis' Beyond Alzheimer's program. Advanced-care planning, with consultations from the UCLA Ethics Center. Intensive dementia-care management by a nurse practitioner. Hospitalization, when needed, at the Santa Monica–UCLA geriatrics special care unit for medical problems, or at the Stewart and Linda Resnick Neuropsychiatric Hospital at UCLA's geriatric psychiatry unit for psychiatric or behavioral problems. Referrals to UCLA's Mary S. Easton Center for Alzheimer's Disease Research for appropriate clinical trials. Referrals, as appropriate, to the Los Angeles chapter of the Alzheimer's Association or other community-based organizations for services. In-home visits, if needed, with modifications of the patient's physical home environment. The lead donors and supporters of the program launch are Los Angeles residents and longtime UCLA supporters Carol and James A. Collins, who made a major seven-figure gift to establish and support the program for five years. The generous gift from the Collins covers approximately half of the current projected budget over the first five years. They are also launching a matching gift challenge to other individual donors who are passionate about this cause. "Carol and I are pleased to support the UCLA Alzheimer's Disease and Dementia Care program," James Collins said. "Our family has personal experience with a mother and brother affected with Alzheimer's for many years. This program will have wonderful benefits for families dealing with this disease." The UCLA Division of Geriatrics within the department of medicine at the David Geffen School of Medicine at UCLA offers comprehensive outpatient and inpatient services at several convenient locations and works closely with other UCLA programs that strive to improve and maintain the quality of life of seniors. UCLA geriatricians are specialists in managing the overall health of people age 65 and older and treating medical disorders that frequently affect the elderly, including memory loss and dementia, falls and immobility, urinary incontinence, arthritis, arthritis, high blood pressure, heart disease, osteoporosis, and diabetes. As a result of their specialized training, UCLA geriatricians can knowledgably consider and address a broad spectrum of health-related factors — including medical, psychological and social — when treating patients. The UCLA Division of Geriatric Psychiatry, in the Department of Psychiatry and Biobehavioral Sciences and the Jane and Terry Semel Institute for Neuroscience and Human Behavior, provides comprehensive care for older adults with psychiatric illness. Services are provided through the Stewart and Lynda Resnick Neuropsychiatric Hospital at UCLA and through the Neuropsychiatric and Behavioral Health Services Outpatient Clinics.